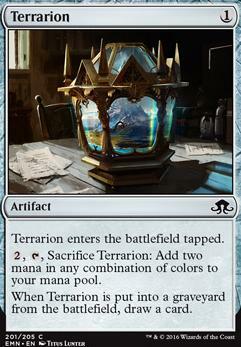 , , Sacrifice Terrarion: Add two mana in any combination of colors to your mana pool. Looks cool! I would recommend Terrarion to help cast Powers. +1! Terrarion seems to me like your best bet. I'd definitely run Darksteel Citadel for sure. 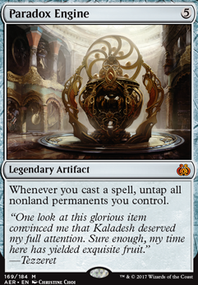 I would also cut the interactive cards like Pacifism , Path to Exile , Leonin Abunas and Lightning Bolt for more artifacts to sac to kci, specifically ones that can draw cards like Chromatic Star , Chromatic Sphere , Terrarion , and Mind Stone . 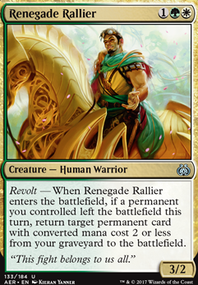 They are good things to sac to kci because they keep drawing through the deck. I've also seen lists that run Pia's Revolution which was pretty powerful. Hexaflexagon Thank you for the suggestion, Terrarion will probably work since I mostly play with friends and will likely be upgrading this deck over time. Thanks! Sadly, I don't think that there is one that works like Manamorphose . There is Terrarion , but it isn't an instant/sorcery and you probably have better turn-one plays. Chief of the Foundry seems kinda weak since you're not playing that many artifact creatures, and Terrarion only really serves as mediocre card draw since you don't need mana filters. Quicksilver Amulet, Belbe's Portal, Deathrender, Clone Shell, Summoner's Egg, Planar Bridge could help in getting your eldrazi out earlier, albeit at the cost of any "whenever you cast this creature" triggers. 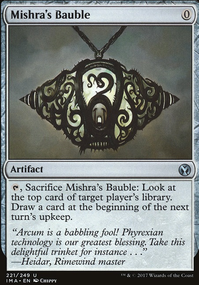 Mystifying Maze, Miren, the Moaning Well, and Thespian's Stage are pretty good colorless lands, as well as land destruction lands like Strip Mine or Field of Ruin would fit nicely. 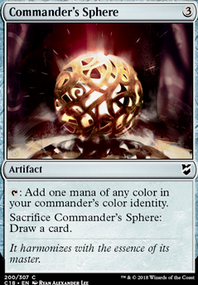 So if you intend to win through using Disciple of the Vault I would reccomend more artifacts that sacrifice themselves, like Terrarion and Chromatic Sphere and you can add in Leonin Elder in order to protect yourself. I think messy is an understatement. (lol) This is just everywhere, you need to find some form of winning condition outside of just creature board presence. Arashin War Beast, Ghastly Conscription and Wildcall can be cut here, you really aren't relying on Morph cards for this. You have some pieces here that can turn this into a much smoother deck. I'd suggest you get more Elvish Mystics, Arbor Elf, Elves of Deep Shadow, Grand Warlord Radha, Radha, Heir to Keld and Zhur-Taa Druids or Whisperer of the Wilds for quick mana ramp. I'd also keep Blisterpod, Call the Scions and Terrarion but have 3-4 copies of all these cards. This is just a start, more things need to be done, but I can put only so much on each comment.